Promoting a strong and positive culture, especially for global teams, is key to your company's long term success. Employees who feel inspired, connected and engaged are more productive and have higher tenures than their less engaged peers. Developing an engaging and effective communication strategy for your high growth organization can feel daunting. That’s why we created The Handbook for Engaging Employee Communication. 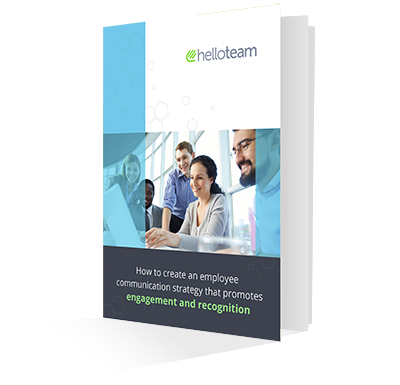 Download E-book "How to create an employee communication strategy that promotes engagement and recognition"